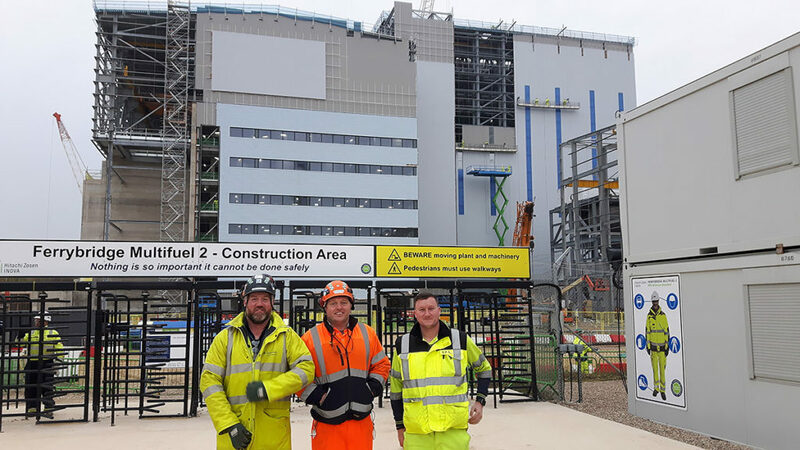 TCB attended Ferrybridge Power Station to deliver the BCSA accredited Bolt Competency Course (Level 1 Practitioner ) to the Severfield crew at this site. A well-received demonstration of the new GSULR300 shear wrench to Pat McLaughlin, the UK Construction Manager for Severfield, followed the installation training. The new GSULR300 is a highly specialised tool designed specifically for use in narrow splice joints. Pat and colleagues were able to get a hands on demonstration with the new shear wrench, installing TCBs in some demonstration steel, seeing first-hand the access advantages of the new tool. Thank you to David Leitch and Severfield colleagues for the hospitality on site.